Jackson County is home to over 40,000 people, with steady population growth expected to continue well into the next decade. Our residents are diverse and engaged – the average age is typically under 40 – and well-educated, with more than 85% of the population over 18 holding at least a high school diploma. As the home of both Western Carolina University and Southwestern Community College, Jackson County boasts numerous professional, technical, and business educators and leaders, many of whom are applying their real-world career experience as a catalyst for educating the people of this region. The most recent census data suggests that Jackson County was the fastest growing county in the seven-county region that comprises that Southwestern North Carolina Mountains, which demonstrates an increase of 21.5% over the 2000 population statistics. Jackson County Public Schools offers two early colleges in partnership with Southwestern Community College; two high schools; one alternative education elementary school; and five traditional elementary schools. 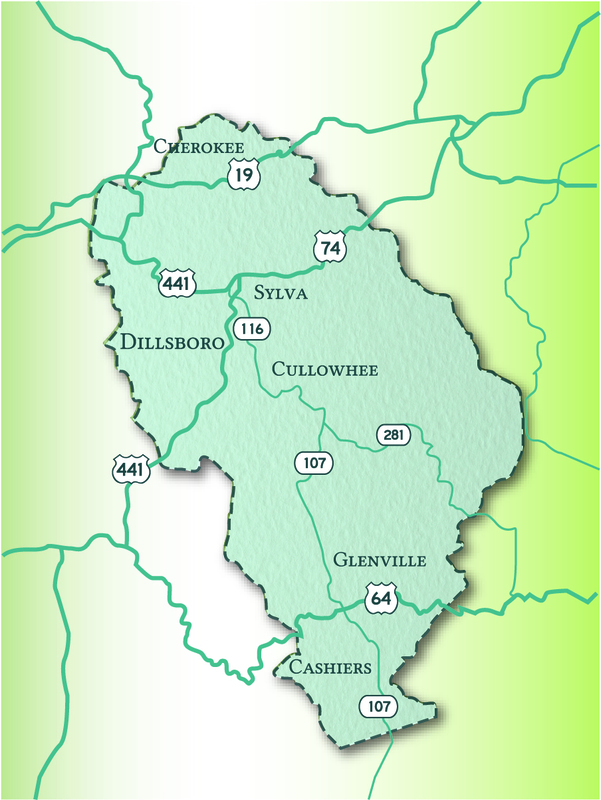 One elementary charter school, Summit Charter School, is located in Cashiers, and another two charter schools in neighboring counties offer bus service from Sylva. Jackson County is home to two award-winning institutions of higher education. Western Carolina University, located in Cullowhee, enrolls more than 10,000 students in a variety of programs and serves as a regional hub for economic development, entrepreneurship, and innovative research. Southwestern Community College, based in Sylva and with regional campuses, consistently receives national recognition for quality in education and offers over 100 technical and professional certifications in addition to personal and small business development programs.